It was large enough that as I was driving down the road I could see it up ahead. It had to be at least four to five in may be larger in diameter. Wasn’t afraid of me whatsoever! I walked right up on it and took a picture and it just kept right on moving slowly across the road. 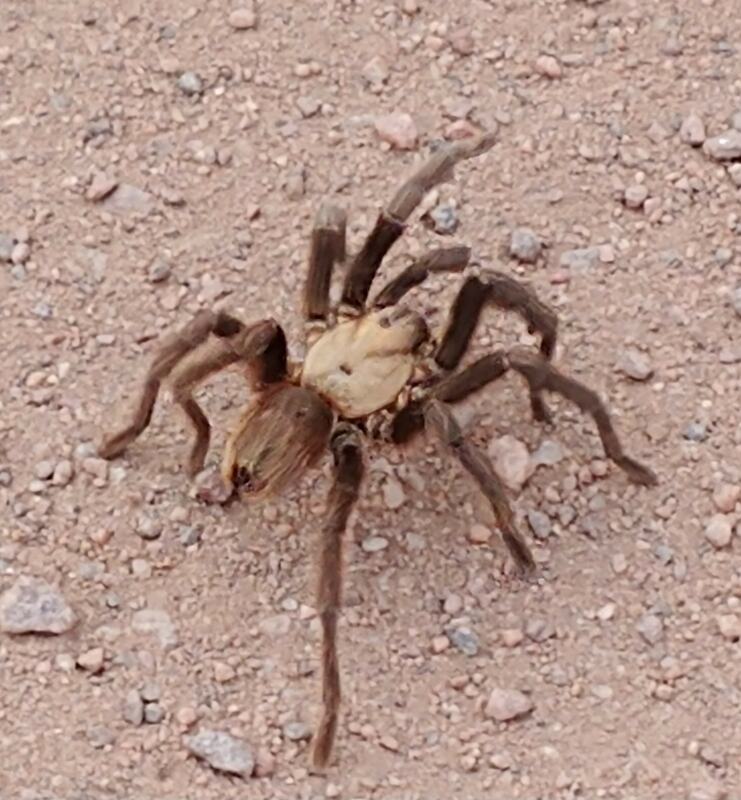 This is a tarantula, unsure of what kind exactly.